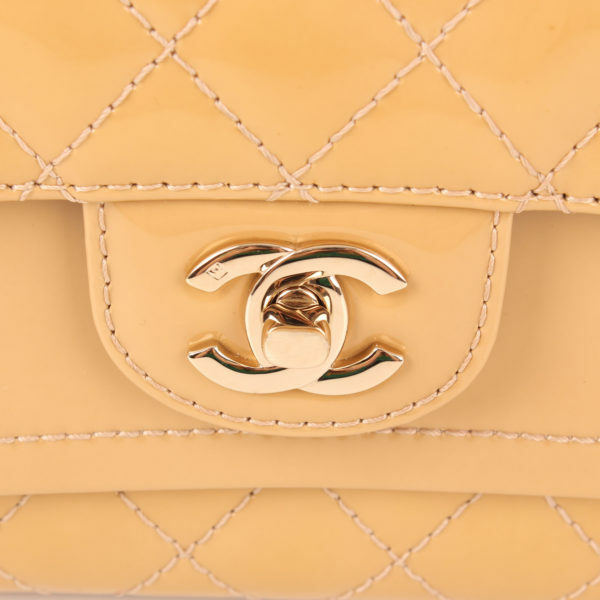 Chanel Timeless Double Flap Bag. A different and chic model thanks to patent leather and its tonality. A new twist to Chanel classics. 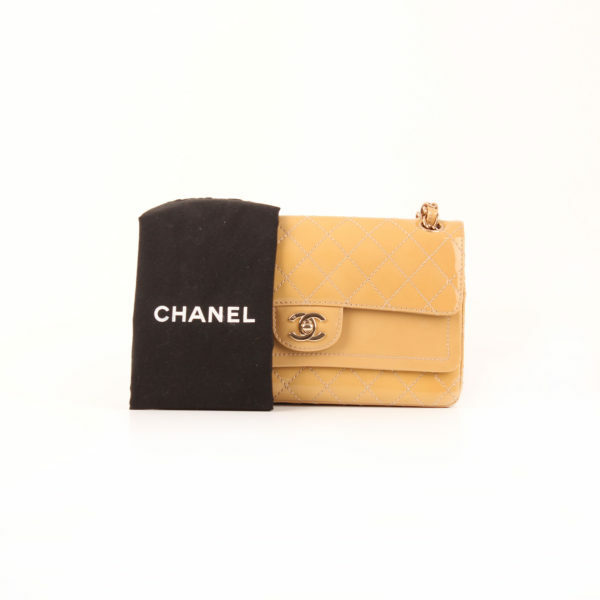 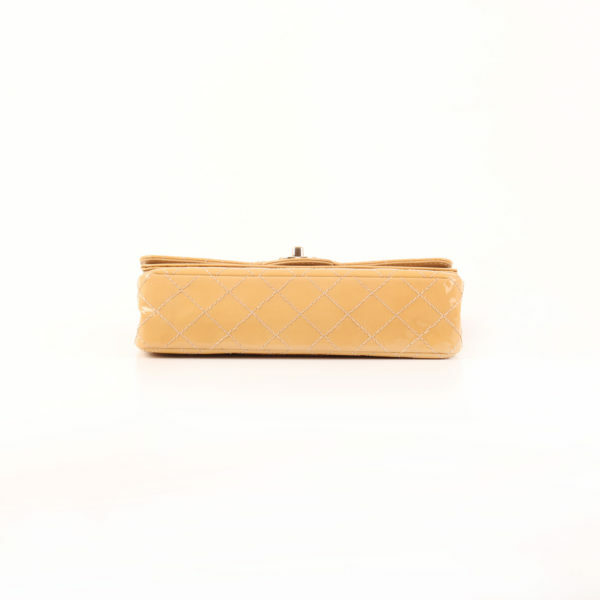 Double Flap Bag Chanel model in yellow quilted patent leather and silver hardware. 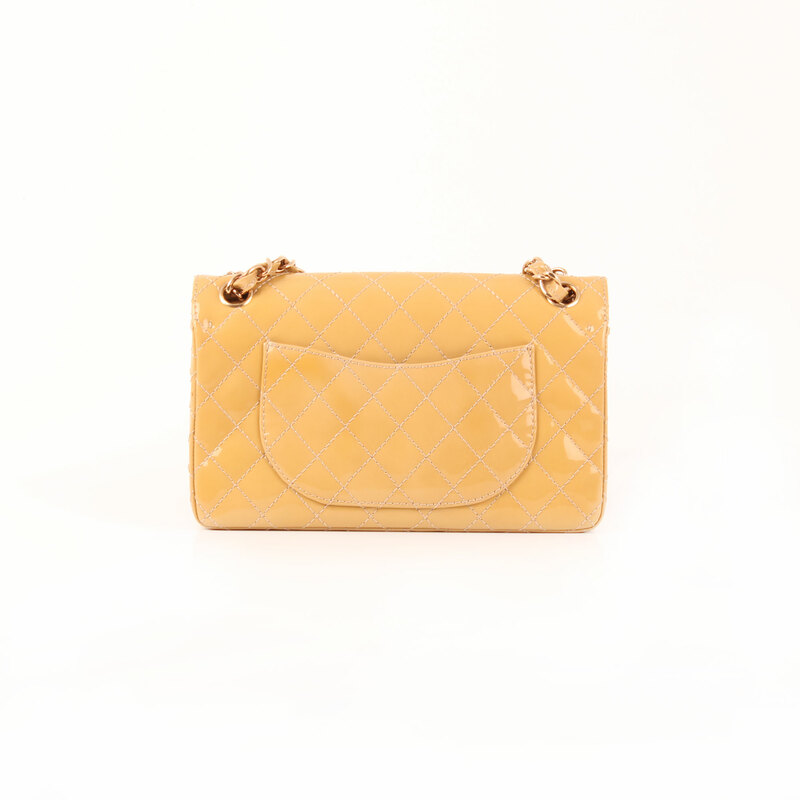 Unlike the Classic Flap Bag, inner flap is longer than main flap, giving the bag a more baroque look. 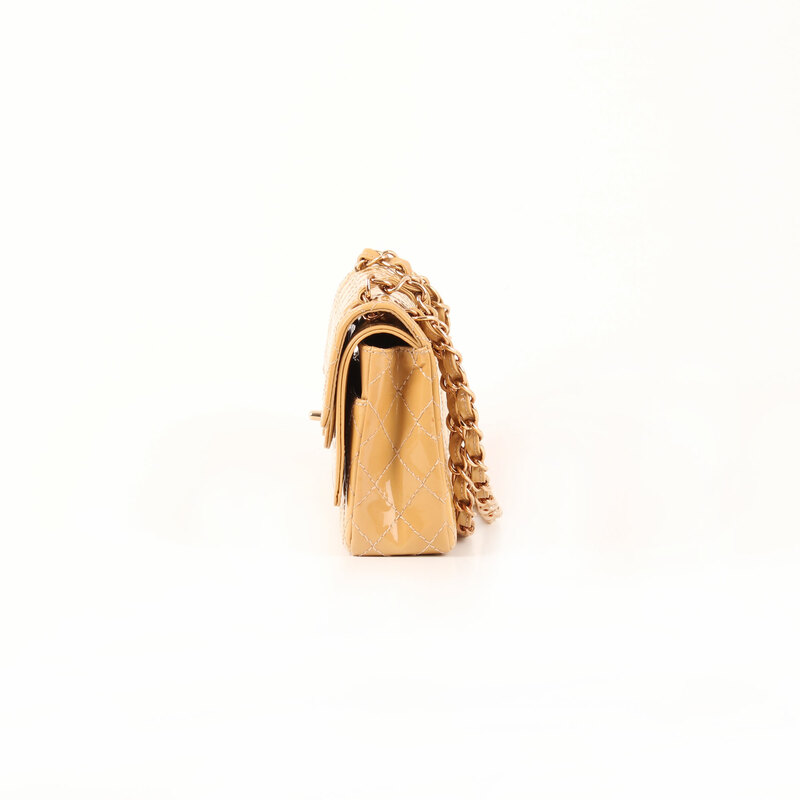 It features classic turnlock clasp and intertwined chain with patent leather. 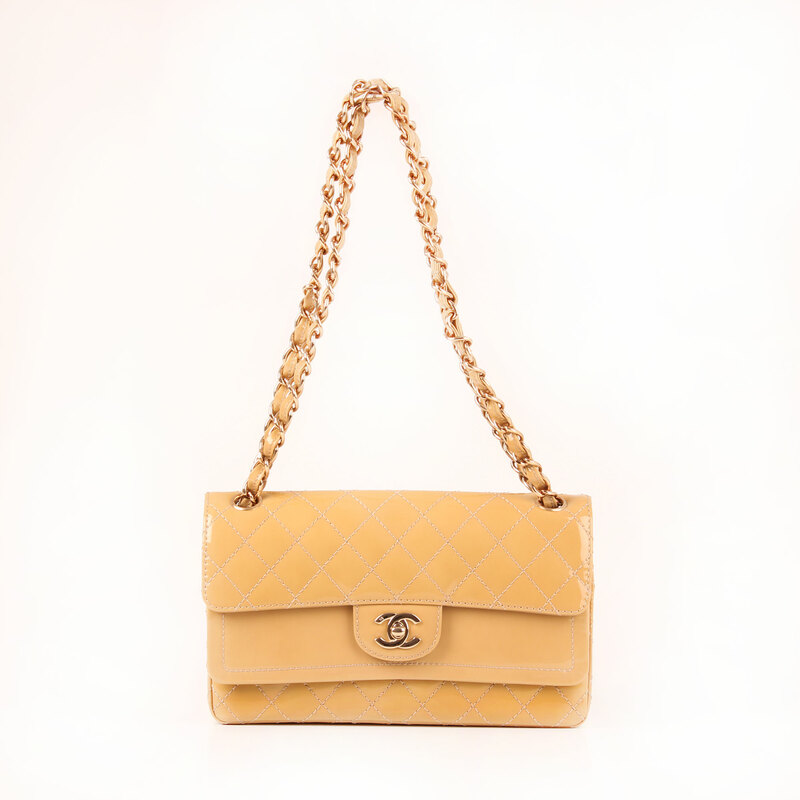 The bag can be carried on shoulder using double chain or messenger bag extending the chain to its whole length. 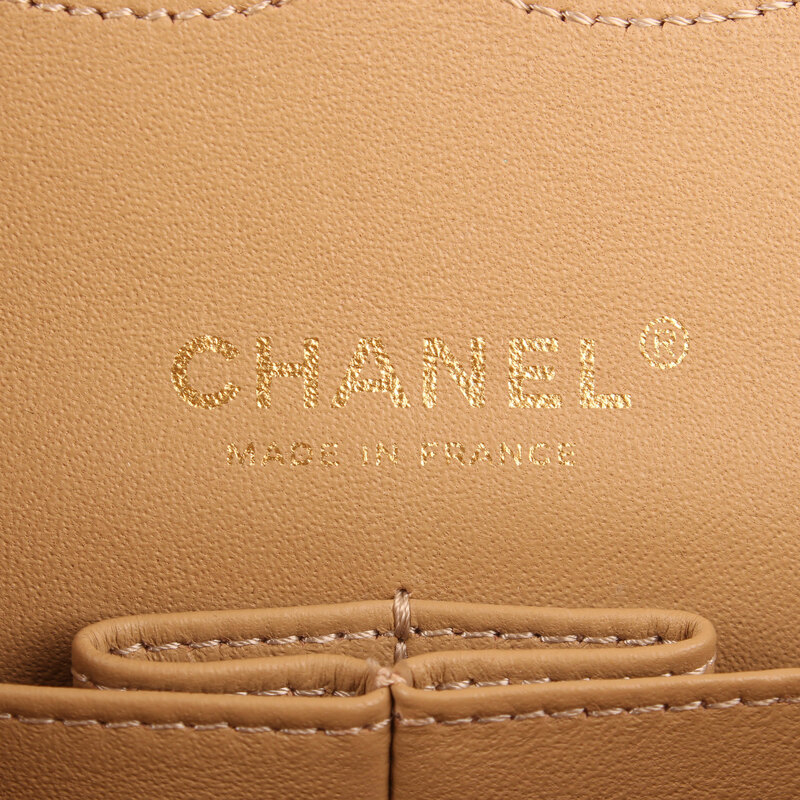 Under inner flap the Chanel opens up to two compartments, a big and a small one. Bigger one shows two open pockets. 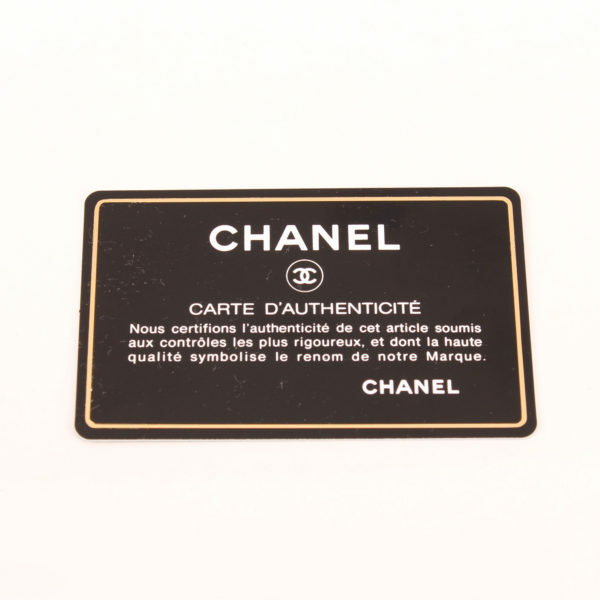 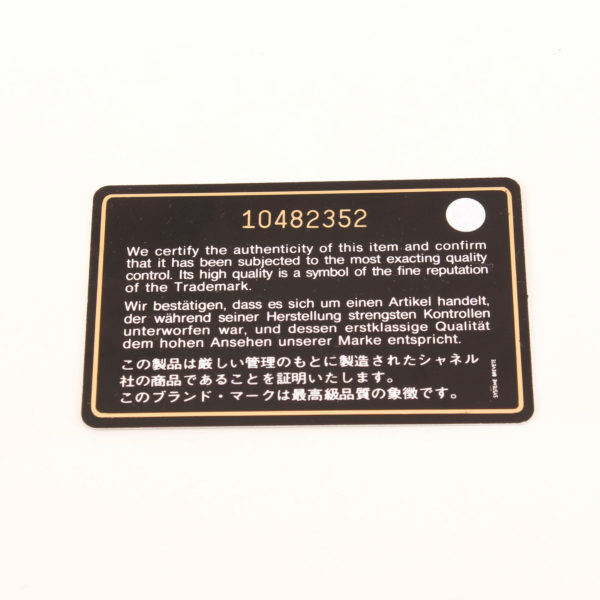 Includes: Dustbag and authenticity card. 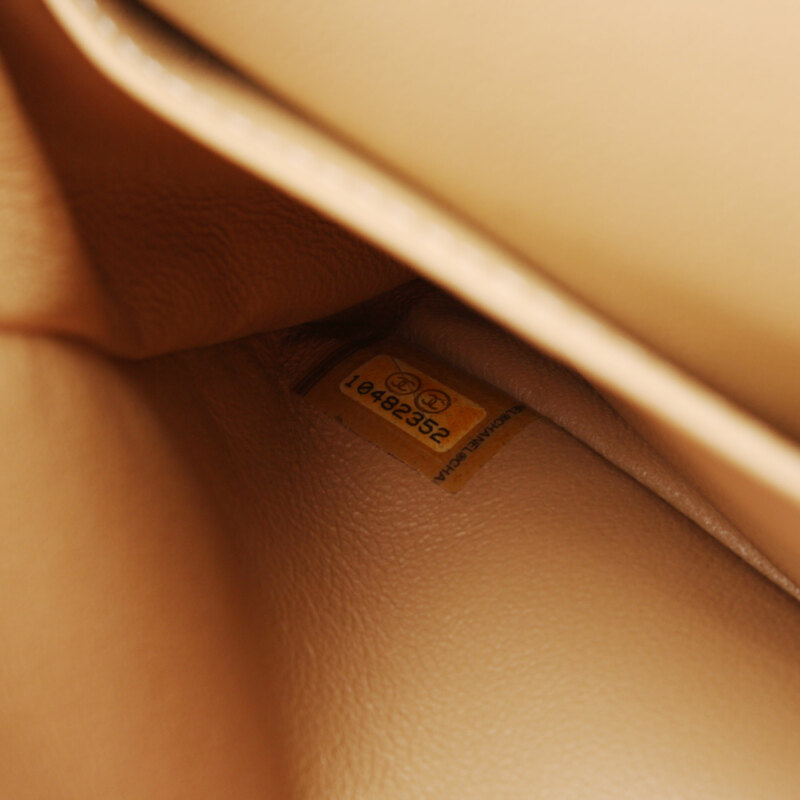 Details: Blind zipper under main flap. No signs of use.